FORTUNE -- Medco Health Solutions stockholders cheered when it topped profit estimates yesterday, but investors are really looking forward to what such pharmacy benefit managers might put under the tree for Christmas. Medco, which manages pharmacy benefits for employer health plans, sees an additional 3 cents per share in earnings coming its way in the December quarter because of the availability of a single new drug: a generic version of the blockbuster Lipitor. And Lipitor is just one of the generics that promises to fatten its bottom line in the coming years. In all, $73 billion in branded drugs are expected to lose patent protection by 2015, according to Nadina Rosier, North American Pharmacy Practice Leader at the consultancy Towers Watson. That's good news for pharmacy benefit managers, like Medco (MHS, Fortune 500), CVS Caremark (CVS, Fortune 500), and Express Scripts (ESRX, Fortune 500), which are commonly known as PBMs. It could also be music to the ears of health plan sponsors and their customers -- you and me -- who spent $307 billion on prescriptions just last year. But nothing is ever simple in the U.S. health care system, and who gets the largest piece of the pie will depend on more than lower-cost generics flooding the market. Generic drugs already account for 78% of all prescriptions, but four of the most commonly prescribed branded medications, Pfizer's Lipitor, AstraZeneca's Seroquel, Merck's Singulair and Plavix, which is put out by Sanofi-Aventis and Bristol-Myers Squibb, are set to lose patent protection by 2012. When a drug goes off patent, generic rivals generally take over 80% of the prescription volume within six months, potentially saving health plan sponsors and consumers a great deal of money. Express Scripts noted in its recent Annual Drug Trend Report that "drug-price inflation for branded products was the single most important trend driver in 2010," with the price for branded medications rising 9.7% last year, against a 10.2% fall for generic drug costs. 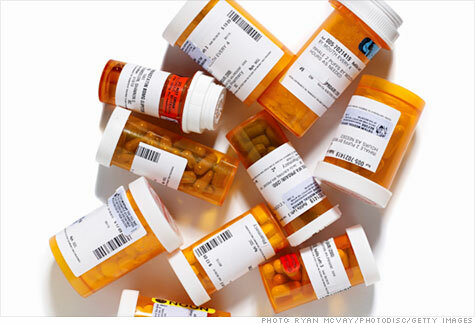 The price of specialty drugs, the hottest pharmaceuticals now, rose even more. But PBMs may be in a better position than health plans to pocket the savings from greater generic use. The reason is that PBM contracts with benefit managers remain extremely complex -- full of talk about formulary rebates, dispensing fees, and a host of different discounting arrangements. In the end, the true cost of drug acquisition for pharmacies and PBMs remains something of a mystery, says Dr. Bill Soller, the Executive Director of the Center for Consumer Self Care at the University of California, San Francisco. In February, the Department of Health and Human Services agreed to conduct the first national survey of actual acquisition costs, which would help states set benchmark reimbursement rates for their Medicaid Programs. The move comes after Alabama adopted such a benchmark, calculating that it will save an additional 6% -- about $30 million -- in pharmacy costs during the first year alone. "That's a wakeup call for plans and PBMs because it really demonstrates that there are ways to reduce drug costs by refining the basis for cost calculations," says Soller. "If there is a way to open that secret treasure chest, then the consumer will benefit. But I'm not saying that will be an easy process." One of the most profitable sections of that treasure chest is mail order. Consumers fill about 52% of their prescriptions in their local chain pharmacies, compared with less than 7% by mail order. However the amount of money spent for prescription drugs through mail order is high, equaling about one-sixth of all pharmaceutical sales in the U.S., according to an appendix item in the overview of pharmaceutical use by the IMS Institute for Healthcare Informatics. A Harris Interactive survey conducted for Express Scripts found that more than 70% of retail users would prefer to get their medication through such home delivery. Home delivery is also being pushed by some insurers as a way to cut costs, and some popular drugs, like Lipitor, which has more than $5 billion in U.S. sales, are already heavily dispensed through the mail. Medco crowed that its generic mail-order prescription volume hit nearly $18 million in the first quarter, a greater than 9% jump in volume. A pharmacy benefit manager's mail-order pharmacy "represents a valuable profit center," says Rosier, because it is the least transparent delivery system. And "as more PBMs fill prescriptions at mail order for "blockbuster" generics such as Lipitor, Plavix, and Singulair, their profitability is enhanced." Other consultants have estimated that prescriptions sent through the mail may account for up to half of a PBM's total profits per prescription, and that providing the drugs their own mail-order pharmacies can be more lucrative than actually administering the pharmacy benefits plans. Of course, PBMs may face their own pressures in the coming years as consolidation among generic manufacturers reduces price competition and elevates the PBM's own wholesale drug costs. The HHS survey data could pierce their black box pricing models, and health plan managers are already forcing PBMs to scramble to compete based on new metrics designed to bring total health care costs down instead of focusing myopically on per-unit drug spend as the holy grail. Steering patients toward healthier choices and keeping them from forgetting to take their medications may cost a little more in the present, but it will reap much greater savings in the future in terms of curtailing preventable illnesses and hospital stays. Even if PBMs end up making bank on the latest move to generics, that doesn't mean the consumer is left out in the cold. Thanks to greater generic usage, the average patient copayment was $10.73 in 2010, down another 20 cents from 2009. Don't cry. That's at least enough for a stick of sugar-free gum.